Experiences you can only get from The Largo. Fishing off the island of Key Largo is truly an adventure. There are more than 200 species of gamefish cruising our crystal clear waters. 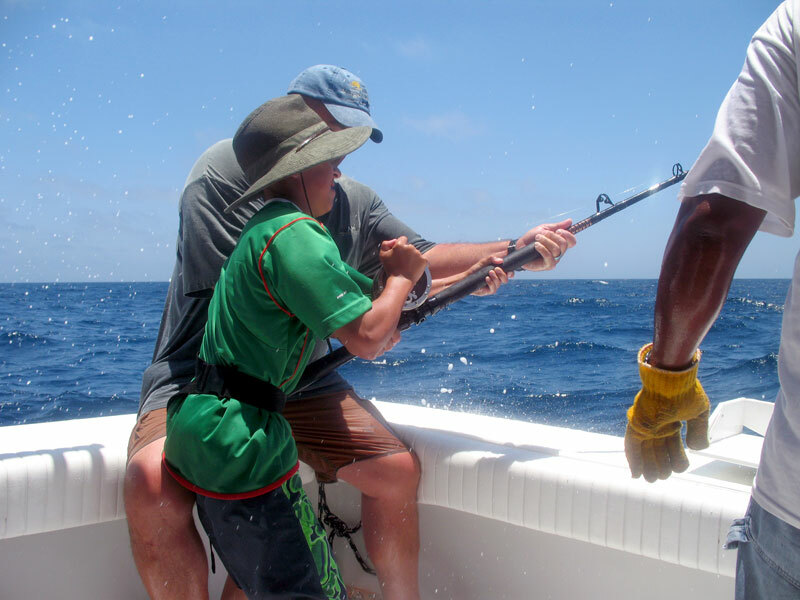 Take a deep-sea charter out to the Atlantic Ocean side of our island and fish for sailfish, marlin and mahi-mahi. Or try a backcountry charter out to the Florida Bay side of our island and fish for tarpon and bonefish. Party-boat fishing is also an option for day or night fishing and snapper or grouper are popular catches…but there’s no telling what you might catch. Our professional charter captains and guides know the perfect fishing locations and can outfit you with all of the equipment you will need to make your day complete.